Earn your certification from a globally recognized and accredited training provider. We offer Black Belt, Green Belt, and Yellow Belt training that is 100% online and risk free. Premium training materials for the needs of any professional or business. World class training materials for individuals, consultants and businesses. Designed by professional Master Black Belts and available as physical books, .pdf files, .pptx files and all other kinds of formats for our supporting matierials. 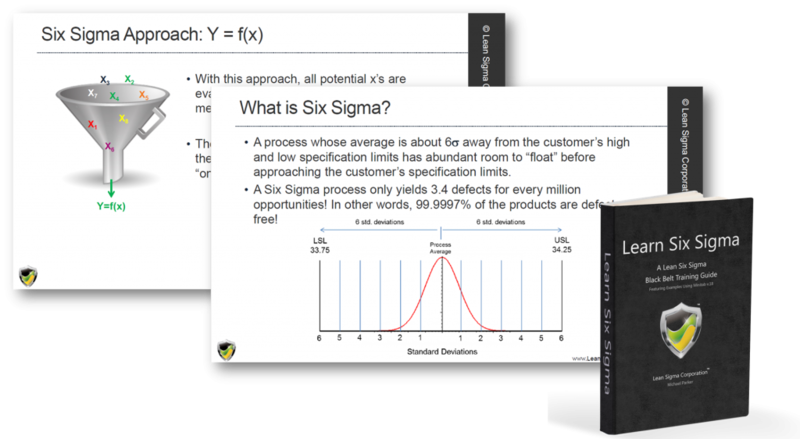 Instantly establish your own Lean Six Sigma training program, ready in 10 business days. 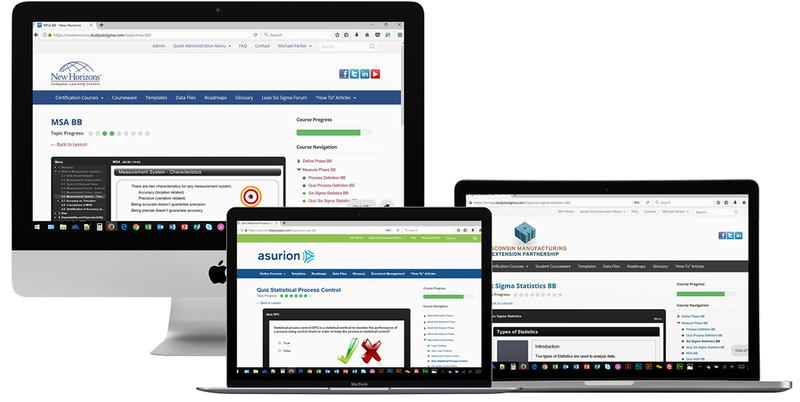 A Customized and hosted online learning management system in your brand. 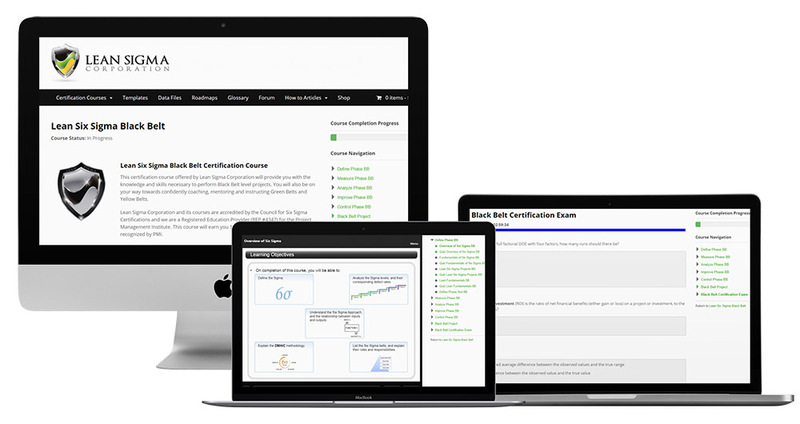 Includes certification courses, professionally narrated eLearning modules and interactive quizzes. Also includes our tools & templates, Roadmaps, data files and tests with answer keys..
A turnkey operational excellence system supported by experienced OpEx professionals. 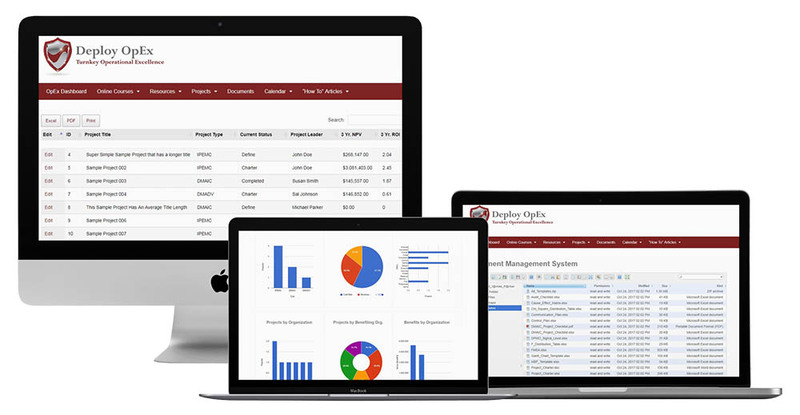 DeployOpExTM is a complete online system that includes our premier eLearning training content along with all features from our StudySixSigmaTM license as well as project and program management functionality, operational excellence dashboards, a document sharing system and a centralized calendar.